The popular anime Gundam arrives in US with a new saga: Mobile Suit Gundam NT (Narrative). Below trailer and poster for the special one-night event. 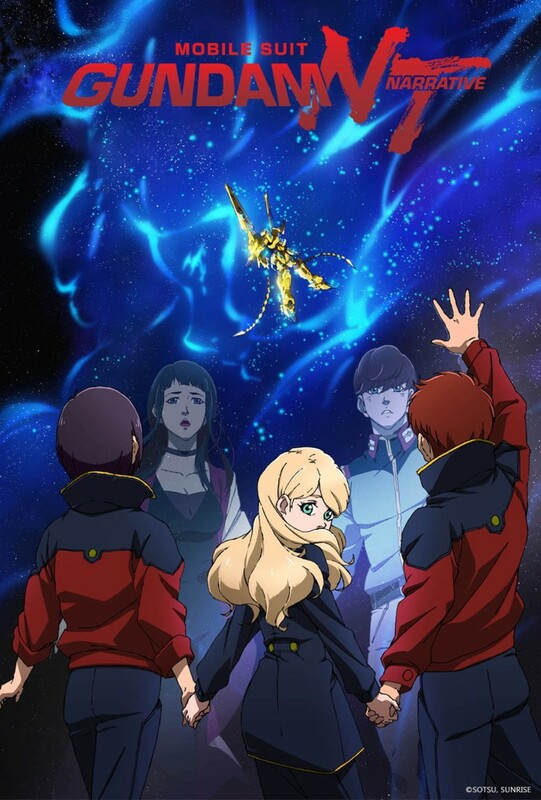 Produced by Sunrise, the film is directed by Toshikazu Yoshizawa (Tiger & Bunny Movie 1: The Beginning, Gundam Thunderbolt) and written by Harutoshi Fukui (Gundam Unicorn: One of Seventy Two, Yamato 2199, Yamato 2202), with the story that follow the Gundam Unicorn events. Synopsis: U.C. 0097, one year after the opening of Laplace's Box. Despite the revelation of the Universal Century Charter that acknowledges the existence and rights of Newtypes, the framework of the world has not been greatly altered. The conflict later dubbed the Laplace Incident is thought to have ended with the downfall of the Neo Zeon remnants known as the Sleeves. In its final battle, two full psycho-frame mobile suits displayed power beyond human understanding. The white unicorn and the black lion were sealed away to remove this danger from people's consciousness, and they should now be completely forgotten. However, the RX-0 Unicorn Gundam 03, which disappeared two years earlier, is now about to show itself in the Earth Sphere once more. 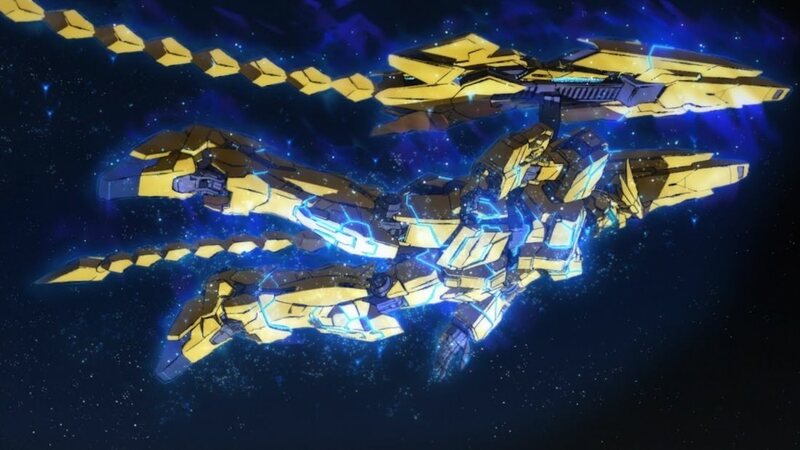 A golden phoenix... named Phenex. After the Japan release, the new film, with the English-language dub, is ready to hit U.S. theaters on February 19 in approximately 450 movie theaters.